If you’re serious about wanting to gamble often and win consistently then it is worth considering using a horse racing betting system. Professional gambling is like stock trading or investing in that you need to take a cool and calm approach and understand that the more that you gamble, the more it will come down to statistical probabilities. That is why it makes sense to use a horse racing betting system as it will give you a process to follow and make it much easier for you to make your selections. Which Horse Racing Betting System To Use? 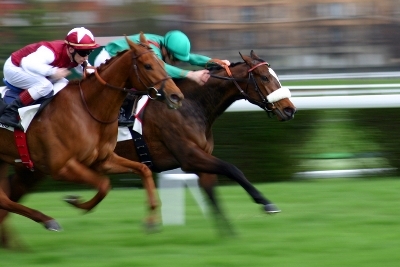 When choosing a horse racing betting system, there are many different options. Many people shy away from betting systems as they believe them to be overly complicated however that doesn’t have to be the case. Admittedly some betting systems are quite hard to understand, but quite often simple strategies also work well and are much easier to implement. You could for instance devise a system based on the age of horses, the amount of races they’ve run, the trainers they’ve had or the jockeys that ride them. A more complicated horse racing betting system might use a combination of these strategies in order to help pick winners. No matter what betting system you choose, it is vital that you carry out solid research and use reliable information. All gamblers know that the odds are stacked against them, which is why the betting industry continues to be more profitable every year. When developing your own horse racing betting system, it is a good idea to keep track of the performance of your system by using spreadsheets. This way you can easily see all the data that you’ve gathered and then uses spreadsheet to make it clear which selections you should make. Professional gamblers often track numerous details about the horses, trainers and jockeys to the extent that they will be able to tell you exactly the kind of horse they expect to win a certain race. Of course the one downside in developing a horse racing betting system like this is that is very time-consuming and involves a lot of trial and error. That is why most professional gamblers use betting systems from other gamblers alongside their own. This way they are spreading the risk of their investment, and by being able to see what other variables gamblers are tracking they can use this information to influence their own system. Although it can be hard to find a good system, if you get your hands on a solid betting system it can be very valuable. Get the right information on the systems that work and you could get yourself a horse racing betting system that gives you a great rate of return.